As a shell, Indonesian culture of what we are in, from the primitive construction to the advanced material innovation. The term of complex bring combinations of maze, a rubic cube showing the path of the creativity in building craftmanship. I thought that the avant garde which proposed by new generation of Indonesian architect is in big question in society, because of the simplification of its meaning, the generalisation of making architecture as a commodity. Meanwhile, the regionalism in the stream of design brought up. 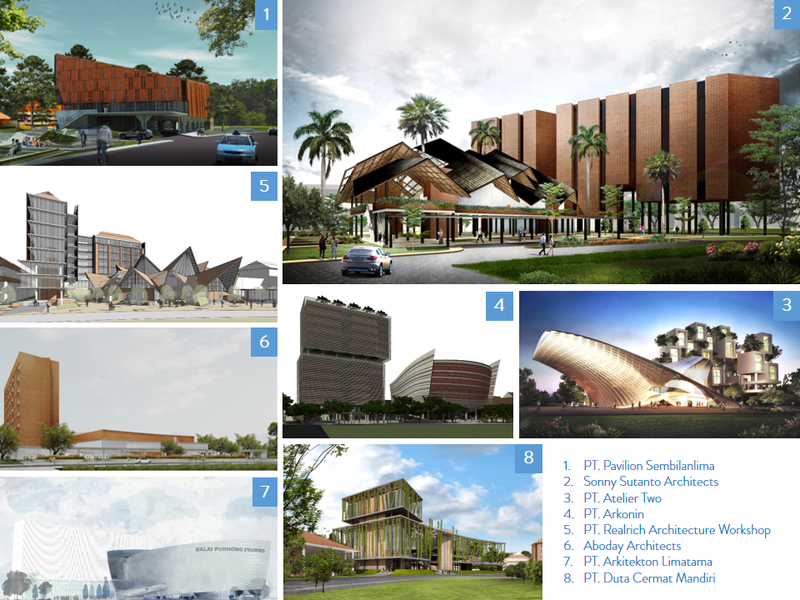 The question then, will be asked by public to the architect, what is the next generation of our era, the future Indonesian Architect. The hyper complexity rejected singular solution for every aspect, this complexity believe that each of the moment, each of the party, each of the project is unique by its approach driven by the architect. The architect will be at the centre of the paradigms, covering the what should be done, what should not be done. In that sense, the authority of the architect and the authenticity by the architect shall be given by the public. And the appreciation will be even higher than before. Second, is the external side of the architect. The domain of the architecture, which are the clients, the builders, the other specialities consultants, such as mechanical, electrical, structure, quantity surveyor, or even project management. The architect is the heart of the parties, that is why the rational, the mind, and even the spirituality must be connected, every parties need to realise that they are going to the same objective. After the work is done, then, to show the complexity of the project, the complex, unsingular, clear informations are needed to show the project is not so simple, and well thought, and it’s worth it to show. It’s an act for self criticism for greater good. because appreciationis given not grabbed, appreciation comes from a focus on others. Then, appreciation will follow with reputations.